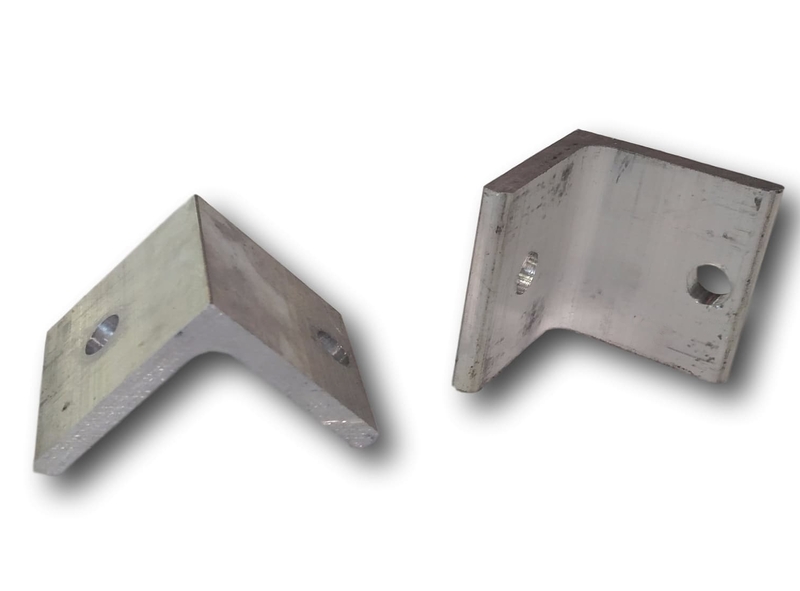 These simple 2X2 inch aluminum brackets can be used for many things. They are most commonly used for mounting to a break wall or other flat surface. They can also be used for making a "T" style configuration with a your dock sections. We suggest you use an extra set of poles for this application for stability reasons, however if for some reason that is not possible this will work. Please keep in mind that if you do this in the middle of another section it could flex a little more than normal as there will be no additional support at the one end of the "T". These are priced per piece. Nice brackets, if the bracket was 1inch longer on 1 side( for tool clearance) it would be better.